On March 5, 2014, Luis Casareal from Transportes Turisticos la Luz and I continued from Mineral de Pozos to the city of Santiago de Querétaro, usually referred to simply as Querétaro. The capital of the state of the same name has more than 1 million residents in the metropolitan area and is a major business and industrial centre in Mexico. One of Querétaro’s most prominent landmarks is its aqueduct, which is almost 1.3 km long and on average about 23 metres high. It was built between 1726 and 1738 at the request of the nuns of the Santa Clara Convent to bring water into the city. We first stopped at the “Mirador”, a great lookout point that provides a fantastic panorama of the city. Across from the mirador is the “Plaza de la Corregidora” which holds sculptures of some of the most important heroes of the state of Queretaro as well as the mausoleum of “La Corregidora”, doña Josefa Ortiz de Dominguez, who played a critical role in the Mexican independence movement. The historic downtown of Querétaro has been designated a UNESCO World Heritage Site, as it retains the colonial Spanish geometric street plan as well as the twisting alleys of the original Otomi native residents. 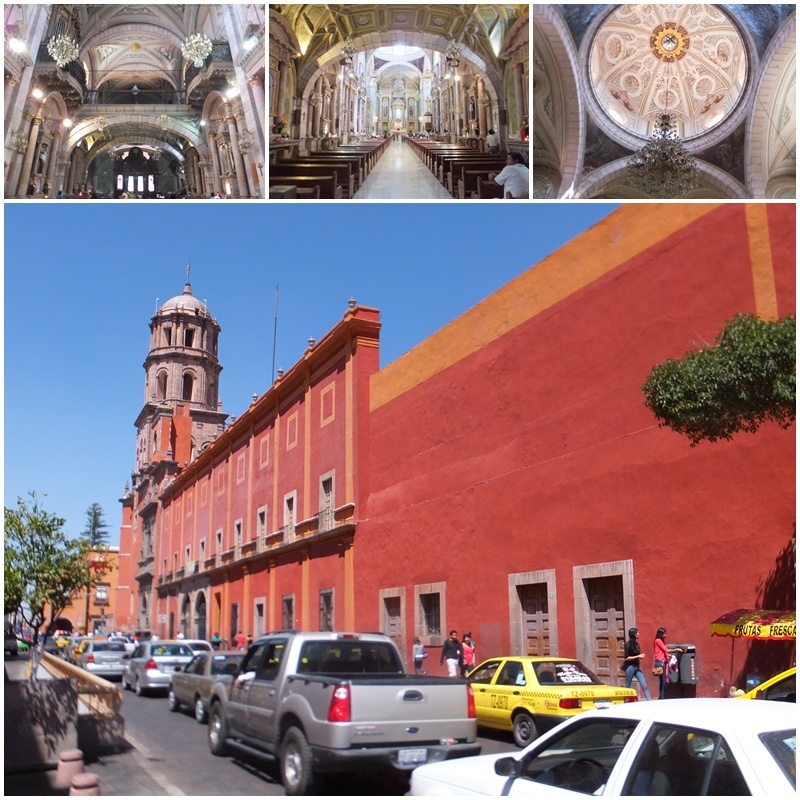 In 2008, National Geographic named Querétaro as one of the top 15 historic destinations in the world. In the heart of downtown, the Church of San Francisco is one of the main sights. Completed in the early 18th century, this church and the attached cloister were once part of a large complex that included several chapels and a large orchard. The original baroque altar was replaced by a Neo-Classical one while older Baroque gold-leaf covered side altars are still in existence. 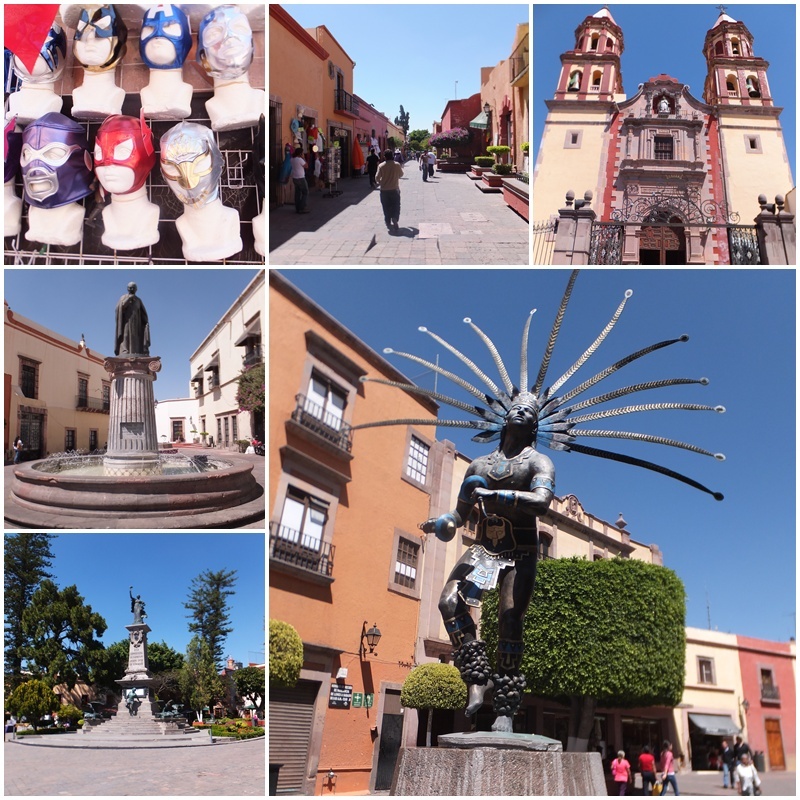 During our walking tour of Querétaro’s historic centre we walked through a pedestrian zone that has lots of shops, cafes and restaurants. 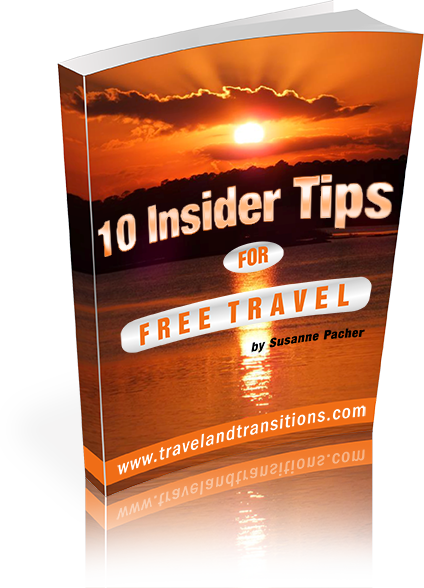 Querétaro is one of the fastest growing cities in Mexico and home to many national and international corporations. A popular way to explore historic Querétaro is to participate in the “Noche de Leyendas” (Night of Legends), an interactive and theatrical recounting of the city’s history. 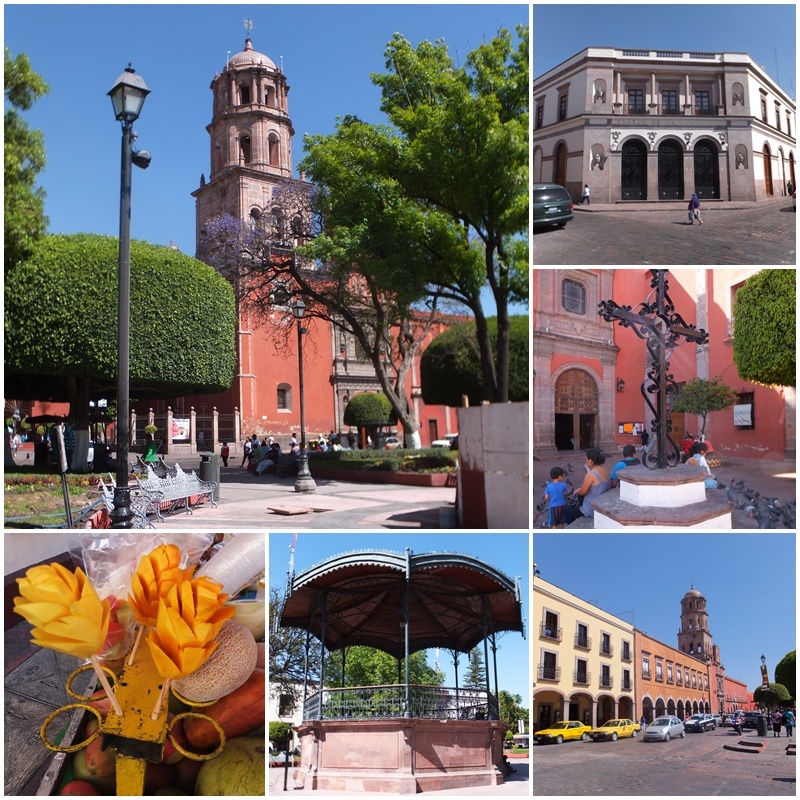 During our stroll of Querétaro we also saw the Temple of the Congregation, the lively Plaza de Armas, the historic Teatro de la Republica, and the Jardín Zenea, which is the city’s main square and the old financial center of the city. This attractive square features a beautiful fountain and a gazebo that is often used for concerts and special events. The historic center of Querétaro has a large collection of outstanding colonial architecture, cobblestoned streets and alleys, and many attractive gardens and plazas which have contributed to its designation as a UNESCO World Heritage Site. After our visit downtown, local expert Luis Casareal from Transportes la Luz took me to a truly exceptional destination: La Casa de la Marquesa. This magnificent Moorish-style mansion was completed in 1756 and is an outstanding example of Mexican baroque. It was constructed for the Marquise de la Villa del Villar del Aguila who had separated from her husband who continued to live two blocks away. The building’s architectural details include intricate stone carvings, a spacious interior courtyard and an impressive staircase. 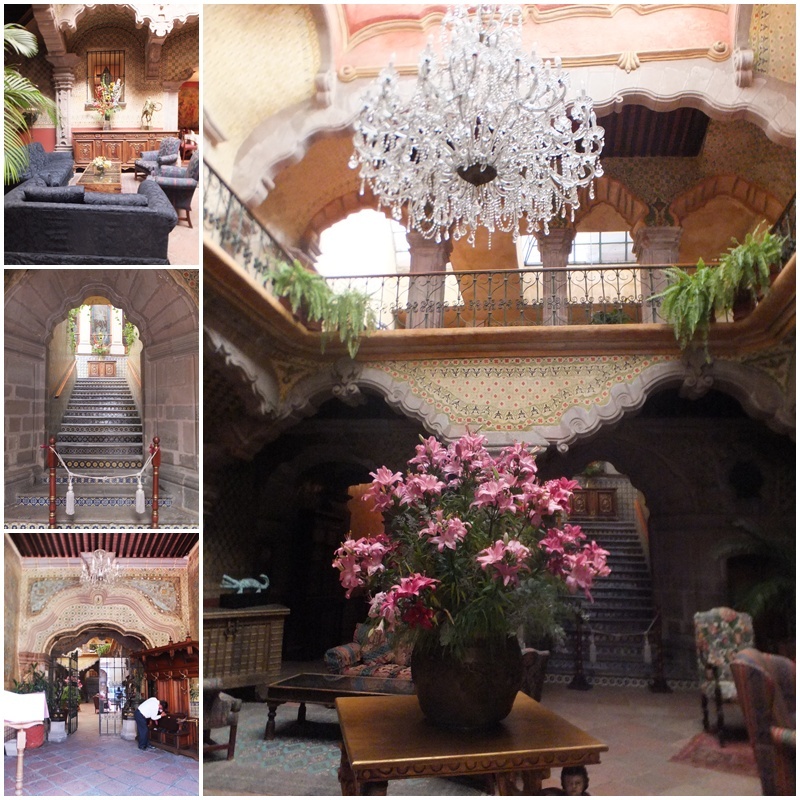 Since 1995, the Casa de la Marquesa is one of Querétaro’s most distinguished and iconic luxury hotels and features 13 suites that are decorated with genuine antiques from around the world. 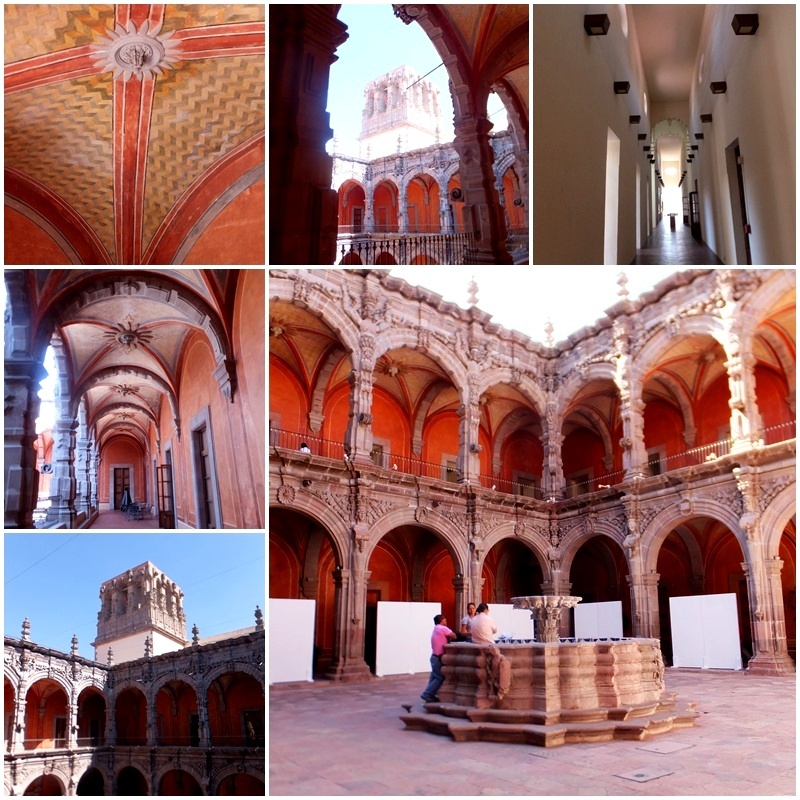 Another stunning example of Querétaro’s architectural heritage is the Museo de Arte (Museum of Art). Located in the former monastery of San Agustín, it is one of the most formidable examples of Mexican Baroque. Augustine friars occupied it from 1743 onwards and it became the Museum of Art in 1988. The spacious interior courtyard is surrounded by intricately carved columns and arches and the cupola contains life-sized images of angels. The museum contains permanent collections of Mannerism, Baroque, European paintings as well as the San Carlos Academy which mostly contains 19th century landscape and historic paintings. The Museum of Art also has an extensive educational program for primary and secondary schools as well as universities and other visitor groups. 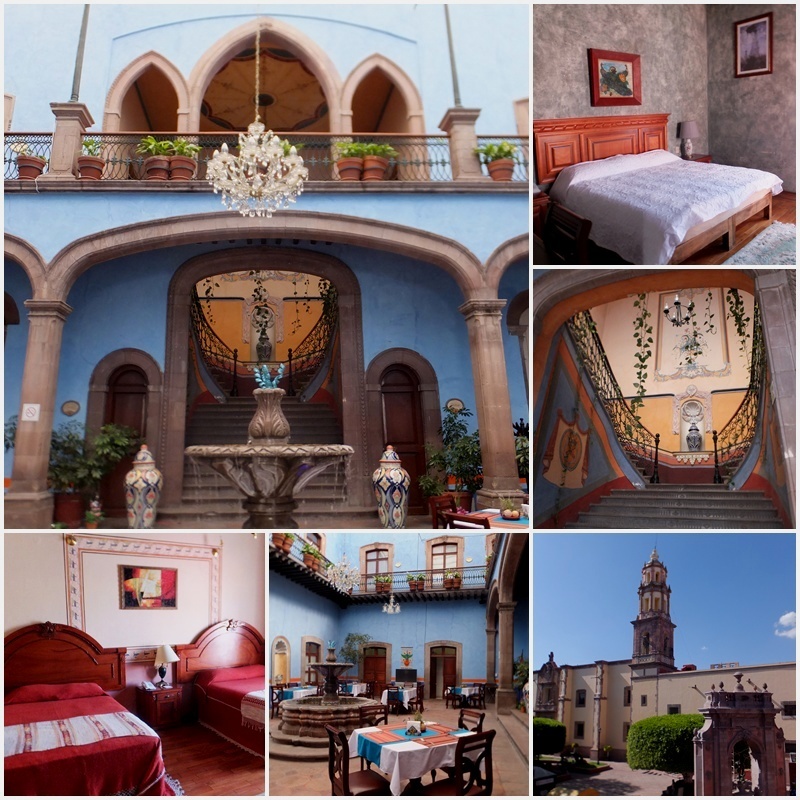 Continuing our architectural explorations of Querétaro just steps away from the Museo de Arte, we dropped in at La Casa Azul, another historic mansion that was built on the remains of the Royal Convent of Santa Clara of Jesus which had been founded in 1606. This was one of Mexico’s most important convents of the Spanish colonial period, but much of it was destroyed during the War of Reform. This mansion features a sweeping staircase, walls painted in blue which gave the hotel its name and 12 uniquely decorated rooms, all named after famous painters. The Monet suite is the bridal suite, and with its King size bed and several balconies with a great view of the Neptune Fountain and the Templo de Santa Clara, it is one of the most popular rooms at the Casa Azul. 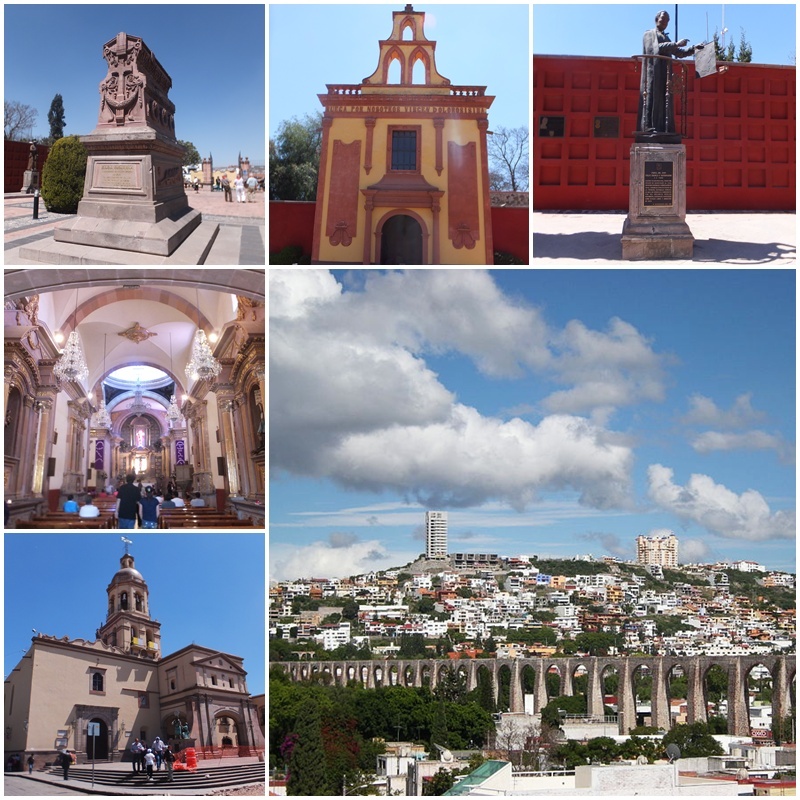 On this beautiful day I had seen two fascinating destinations: Mineral de Pozos and Queretaro, both of which are just a short distance away from San Miguel de Allende. With its location in the colonial heartland of Mexico, San Miguel is a great home base for excursions in Central Mexico.